Located within the Minneapolis Police Department 1st Precinct, the MDID Safety Communications Center serves as the informational hub of the Mpls Downtown Improvement District. Dispatch Ambassadors staff the Safety Communications Center 365 days a year to respond to pedestrian requests of Ambassadors on the streets, track weather and emergency news alerts, communicate with outreach services for people in need, monitor public area cameras and serve as the central point on the RadioLINK system. For everyone one law enforcement officer there are approximately thirteen private security officers. The RadioLINK Security Communication Network is a force-multiplier that connects Minneapolis Police Officers directly with private security teams, outreach teams, and the Safety Communications Center via a common radio channel. The program currently links the private security teams of over 60 downtown buildings, businesses and venues; all looking out for you and your surroundings while you enjoy our city. 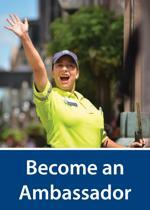 Interested in registering your downtown security team? Click here to contact us. DID Ambassadors are always looking out for you whether they are patrolling the district sidewalks, monitoring cameras from the Safety Communications Center, or sharing severe weather announcements over RadioLINK. The Ambassador's are trained to recognize indications that a person may be in need of assistance or that a situation might be escalating. Connection with the Safety Communications Center allows Ambassadors to quickly inform first responders and capture surveillance data to aid law enforcement officials. The Safety Communications Center is also connected to iNWS, a sophisticated weather tracking suite used by professional meteorologists. This advanced technology allows Safety Communications Center Ambassadors to send severe weather announcements via the RadioLINK network; early notification helps to protect downtown's patrons. Police receive a report of a bank robbery via 911. DID Ambassadors within the Safety Communications Center send out a suspect description two minutes later via RadioLINK. Seven minutes later the suspect is spotted by a private security guard in a skyway and notifies police via RadioLINK. Within a total of twelve minutes the suspect is in Police custody. During the busy holiday shopping season a small boy wanders away from his family on Nicollet Mall. A DID Ambassador reports the lost child to the Safety Communications Center. A description of the child is broadcasted over RadioLINK. Within four minutes a private security guard locates the child and reunites him with his family. Vibrant & Safe Downtown (formerly 'Minneapolis SafeZone Collaborative') is a 501(c)3 nonprofit organization founded by the Minneapolis Business Community in collaboration with the Minneapolis Police Department and local security organizations in 2006. Vibrant & Safe Downtown works to develop collaborative safety initiatives and address security trends in downtown Mpls by engaging community members, businesses, residents, elected officials, governmental policy-makers, police and other non-profits. Vibrant & Safe Downtown became a wholly owned subsidiary of the Mpls Downtown Improvement District in July 2009.